Mariuca's Perfume Gallery: Bigger Blog Bucks! Almost a year passed before I realized the full potential of blogging. Slowly but surely, it dawned upon me that blogging can be very rewarding indeed. I began noticing the numerous opportunities waiting for me and my two blogs out in the blogosphere. I started joining memes, passing on tags and collecting awards. I co-organized several blogging memes and projects with other prominent bloggers and participated more actively in blog communities; taking time and effort to discover other interesting blogs that fall within my niche and interest. It was around this time too that I discovered money-making opportunities in the blog world. I remember being truly amazed to find out that I could actually make money blogging. I thought that was the coolest thing ever! What I love about paid blogging is the fact that you do actually get paid. All I have to do is write for advertisers (which is what I do in real life anyway, as a freelance copywriter), promote their products and services in a manner that sells, wait till the end of the month and voila - I am handsomely rewarded for my effort! Everything happens online too, which makes this task ever so simple. The latest blogging directory I've joined this year is Paying Post. It looks pretty cool so far, I love the adorable graphics PP uses in their site like this one here. It makes me want to write for them even more! 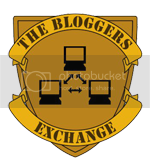 mmmmmm..paying post is indeed one good bloggers' choice to earn more bucks! Recent blog post: Hungry For Pillows?? Yah.. JS is really coming through for us!! Yihaa!!! langsung....lol.. so i decided against it lah!! Now happily doing post berbayar...lol! yeah?? Ok.. will try in a short while.. thanks for the heads up dearie!! ahhahahaha.. lol.. alih alih jer dapat payment.. mmg besh!!! lol! yihaa.. star post coming eh?? hahahah.. alamak... internet tengah slow ni... but I will definitely try!! tulah.. eh i emailed you on another way to make money.. you got or not? My internet oso very slow ni, lucky am done with Mariuca. Now at Go Go for MPG sigh…. Oooops!!! Dneero la ha ha ha hahahaha! Ok ur email just arrived, lemme read. Thanks LJ! along the way "anonymous" you just can make friends in the blogosphere..it's very normal for beginners to have that.. i also experienced that one!